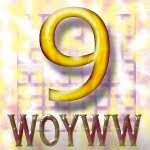 Each month I'm involved in a card swap with a fellow "junkie" in which I must use a technique published either in the newsletter, online site, or a CD put out by the Technique Junkies. This month I chose the Slideshow Technique from the current newsletter. 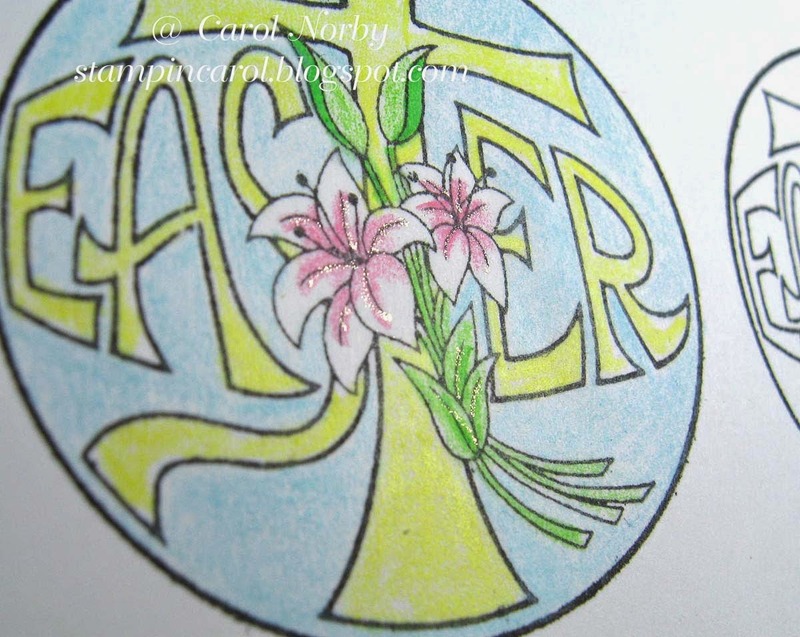 The circular Easter stamp is from a set by The Angel Company. 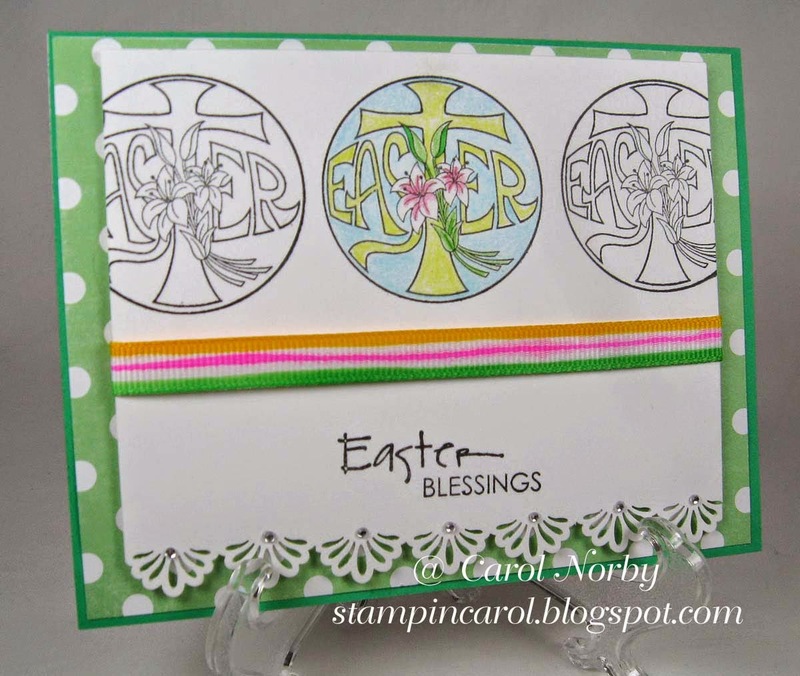 The Easter Blessings stamp is from Red Rubber Designs from a set called Contemporary Greetings. I colored my image using PrismaColor Pencils as the area was too small to use Copic markers. 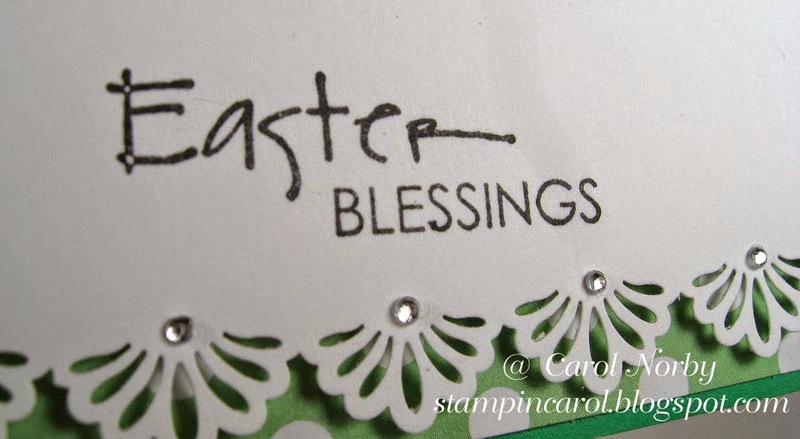 I punched the border using an old Fiskars border punch. 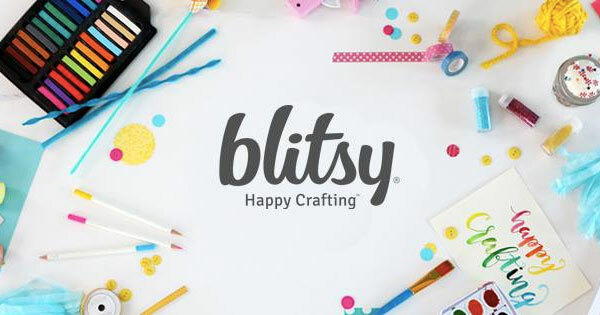 I added itty bitty rhinestones to each design for some bling. I also used my Stardust Clear Gel pen on the flower centers for fun. I did use my Copics to color the white ribbon. They do have a tendency to bleed but then I got to thinking with this being a card to celebrate Resurrection Sunday, Jesus shed His blood for us on the cross Good Friday and rose to life on Sunday. So I'm happy with this.